Brown Bear, Brown Bear What Do You See? by Bill Martin Jr. and Eric Carle is one of our family’s favorite books. We own multiple copies and every single one is well-worn because we’ve read them so many times. It’s cute and catchy story and great for young readers. 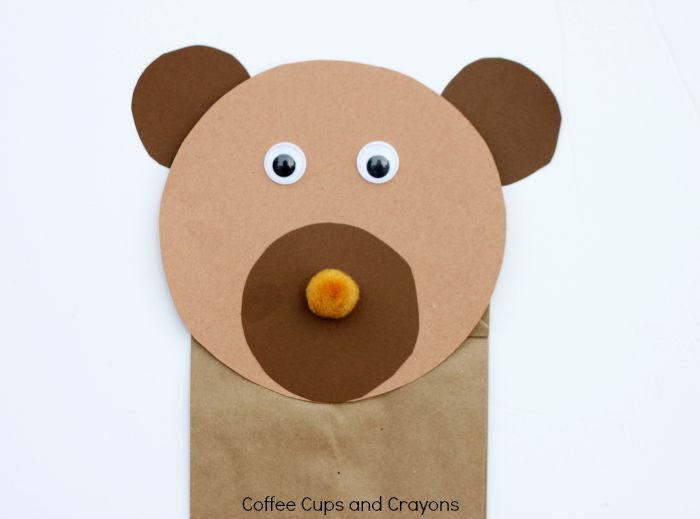 This simple brown bear puppet craft is the perfect compliment to the story and easy enough for younger ones to help make. 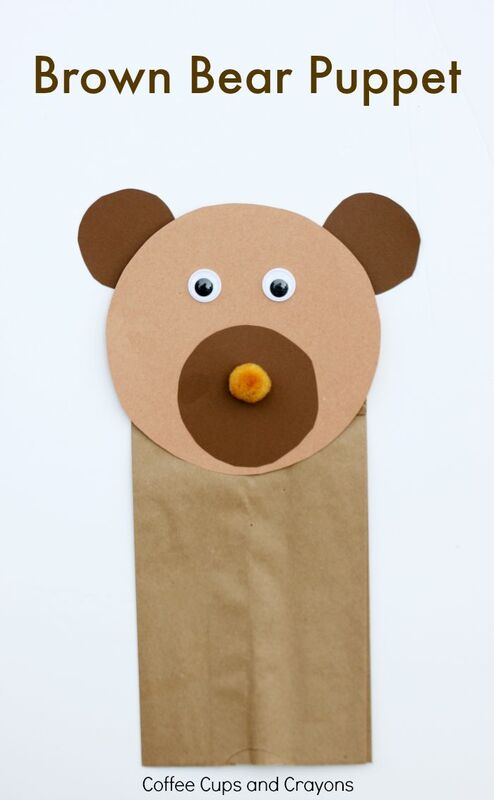 Download the Brown Bear Puppet Tracing Patterns and print out on plain paper or card stock. Cut out the circles to use as a tracing pattern for the puppet. If you are using this craft with a preschool class or group you may want to trace the circles onto a file folder to use as your tracer since it’s sturdier. Depending on the age and ability of the kids you can have them trace and cut out the construction paper circles or you can have them already prepped for them to glue. Once the Brown Bear puppet has been constructed let the kids decorate their puppet however they want. Then it’s time to read and play! This Brown Bear craft is not only a great follow up book activity for Brown Bear, Brown Bear, What Do You See? (affiliate link) is can also be used to work on the concept of circle shapes and the color brown. We love easy and fun preschool activities that sneak in some learning! 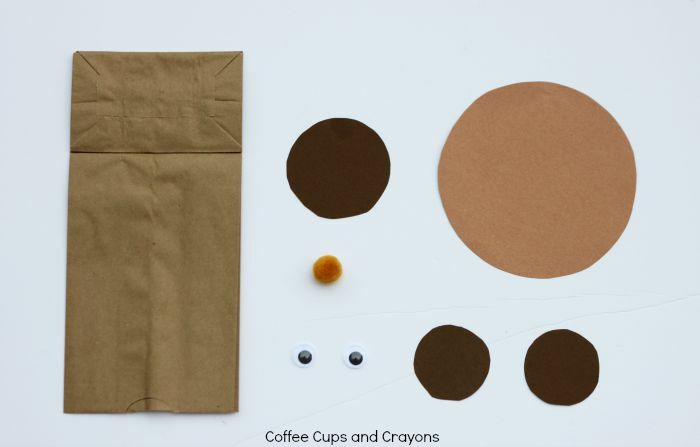 Follow Megan Sheakoski ::Coffee Cups and Crayons’s board Preschool Activities on Pinterest. What a cute idea! We love that book, and my younger boys would have fun with this craft. It’s even a project that I could pull off! So simple, but so effective! Thank you! My kids made paper bag puppets to go with the book Bear Says Thanks. Turned out perfect. We wrote things that they were thankful for on the bears ‘belly’. Kids age from 2 to 5. That is an awesome idea!!!!!!! This project was really easy for my toddlers to make. Thank you!